Since the beginning of 2018, the Iranian regime’s terrorist activities against its opponents, especially the National Council of Resistance of Iran (NCRI) and the People’s Mojahedin Organization of Iran (MEK/PMOI), has taken a new dimension. Tehran has used a wide range of its terrorist agents and mercenaries to assassinate Iranian dissidents around the globe. For decades, Tehran has been dispatching its operatives to Europe to carry out assassinations and other acts of terrorism. The mullahs regime uses terrorism as a tool of its statecraft, and it has no reservations about using that tool on any continent. March 2018- The mullahs agents intended to launch a mass killing targeting the gathering of the PMOI members while celebrating Nowruz (the Iranian New Year) in Albania. But Albanian intelligence services thwarted the terror operation. 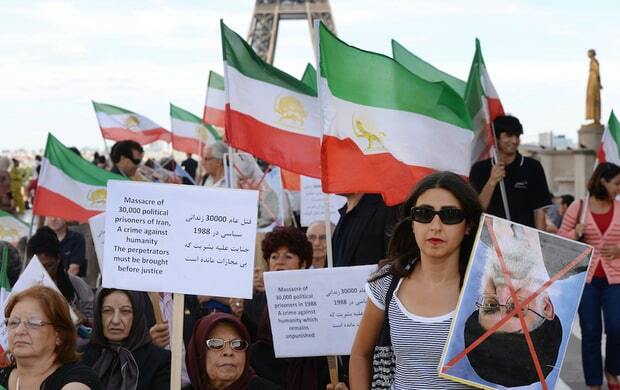 June 30, 2018 – Authorities in Belgium, France, and Germany arrested several Iranian operatives, including Assadollah Assadi, an Iranian diplomat stationed at the mullahs regime’s Vienna embassy, in connection with a bomb plot to be carried out against the grand gathering of the National Council of Resistance of Iran in Paris in June. December 19, 2018: Albania expelled Iran’s ambassador to the country, Gholamhossein Mohammadnia, and another Iranian diplomat for “involvement in activities that harm the country’s security” and for “violating their diplomatic status”. The expelled Iranians have plotted terrorist attacks in the country, including targeting MEK\PMOI to silence dissidents. Who are the Iranian diplomat terrorists that Albania expelled? 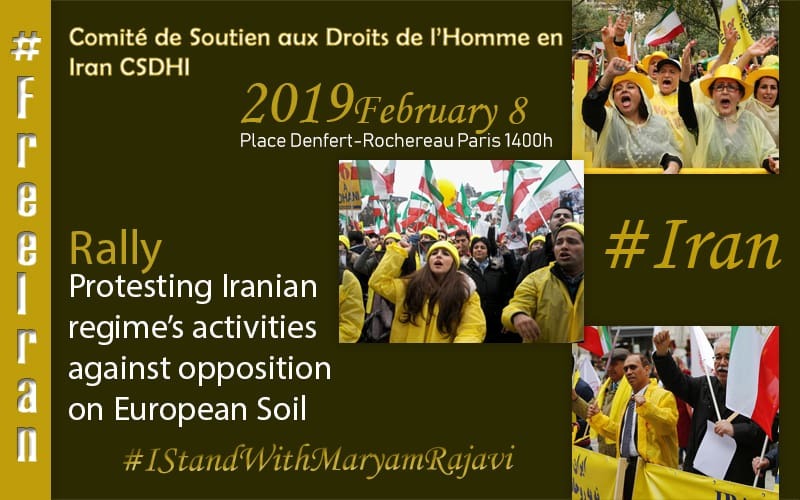 On Friday, Feb 8, 2019, Iranian opposition supporters (the supporters of NCRI and the MEK/PMOI) will hold a rally at Denfert-Rochereau, Paris. The closure of Iranian embassies in Europe and the expulsion of all Iranian regime’s terrorist diplomats from the European soil. Expulsion of the mullahs’ intelligence agents and mercenaries of the terrorist Qods Force from the U.S. and Europe. Designation of the Islamic Revolutionary Guard Corps (IRGC) and the Ministry of Intelligence and Security (MOIS) of the Iranian regime as a whole, as terrorist entities by the U.S. and the European Union. با حضور خود در تجمع پاریس و حمایت از مقاومت ایران و رئیس جمهور برگزیده شورای ملی مقاومت خانم مریم رجوی به وظیفه ملی و میهنی خود قیام کنیم. حضور هر ایرانی در تجمع پاریس ، یک ضربه به رژیم ملاها است که، بدون شک در نهایت نقش تعیین‌کننده خود را خواهد داشت.